Sweets and Style Just Right: Happy (Almost) Fall! 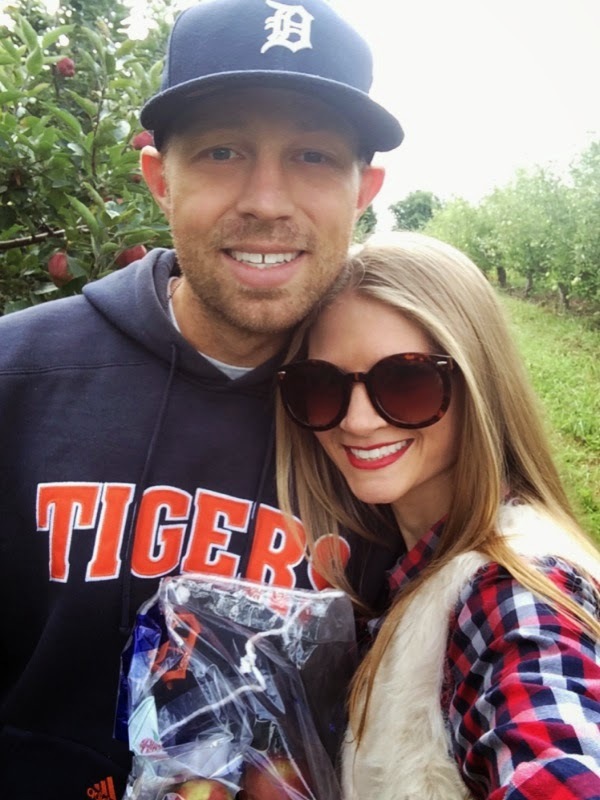 Last weekend Zach and I went to the apple orchard to pick apples. This is one of my favorite fall activities and we had perfect fall-like weather. 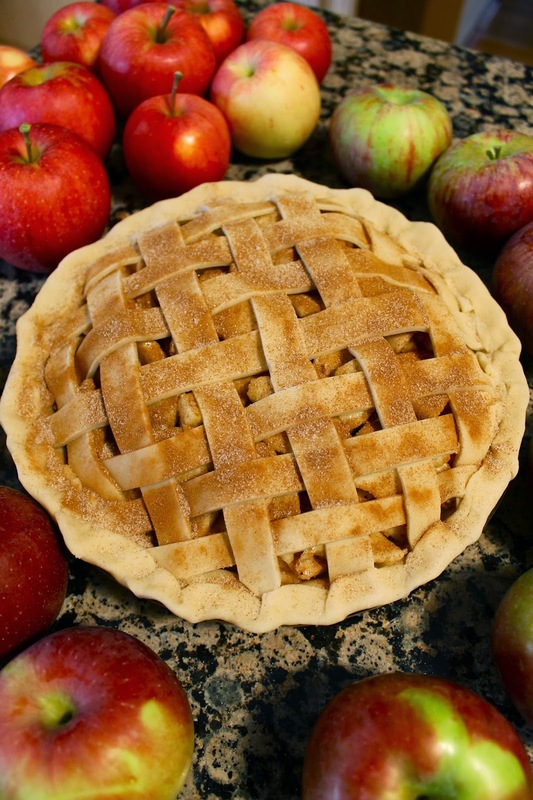 I love coming right home and baking a fresh homemade apple pie with the apples we pick. The house always smells amazing and apple pie is my favorite! And you can't have apple pie without fresh cider. 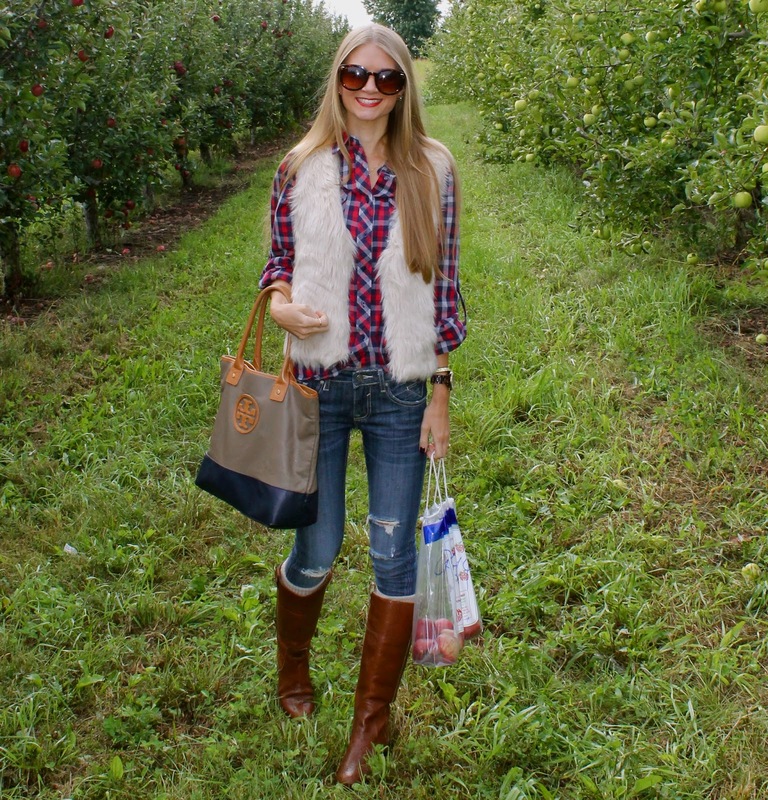 I know it is a little early for faux fur, but we have had such chilly weather lately it seemed like the perfect thing to wear to the orchard. I have a ton of faux fur, but I just got this vest and I love that it is shorter and that the back of the vest is a sweater. It is the perfect faux fur to start off the season. I love this time of year I hope the weather stays just like this for a few more months! Thanks for reading! Have a great Saturday!